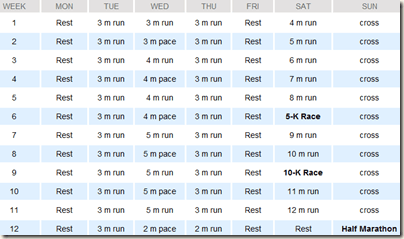 2013 hasn’t been the best running year for me. A stress fracture in March resulted in no running or walking for 8 weeks! Then a knee problem in the summer and a calf issue in the autumn…In fact, I’ve had more injuries in the last 12 months that the previous 12 years! I’m now stretching like I’ve never stretched before and seeing a great physio every other week who tries his best to make my very inflexible body a bit more flexible. I doubt i’ll ever be able to touch my toes, but if i could at least touch my ankles, I’ll be happy!